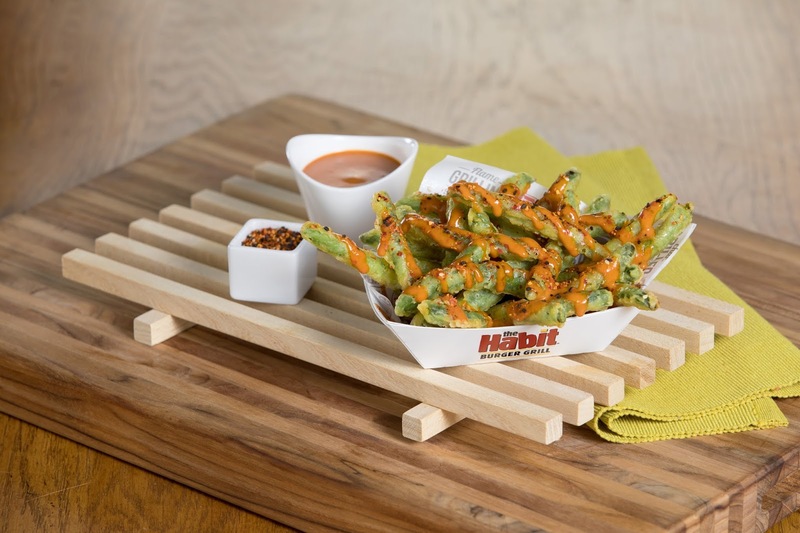 (ORLANDO, Fla.) May 30, 2018 – Burger fans seeking the perfect pair to their burger will have more to celebrate with today's launch of The Habit Burger Grill's hot new sidekick, Sriracha Lime Spicy Green Beans. Available for a limited time, the new Sriracha Lime Spicy Green Beans ($3.49) takes the fan-favorite side tempura green beans and heats things up with the addition of a house-made, mouthwatering sriracha lime aioli. Cooked to a perfect golden crisp, the Sriracha Lime Spicy Green Beans are drizzled with The Habit’s creamy sriracha lime aioli made fresh in-house and seasoned with a touch of 7-Spice pepper blend for an added kick of flavor. The Habit Burger Grill is a burger-centric, fast casual restaurant concept that specializes in preparing fresh, made-to-order chargrilled burgers and sandwiches featuring USDA choice tri-tip steak, grilled chicken and sushi-grade ahi tuna cooked over an open flame. In addition, it features fresh made-to-order salads and an appealing selection of sides, shakes and malts. The Habit was named the "best tasting burger in America" in July 2014 in a comprehensive survey conducted by one of America's leading consumer magazines. The first Habit opened in Santa Barbara, California in 1969. The Habit has since grown to over 220 restaurants in 11 states throughout California, Arizona, Utah, New Jersey, Florida, Idaho, Virginia, Nevada, Pennsylvania, Washington and Maryland as well as three international locations. More information is available at www.habitburger.com.